Dillards Dept. Store in Victoria, Texas (TX) offers complete wedding registry ervices. 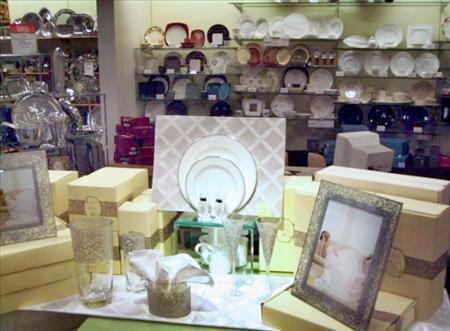 They have expert consultants to guide you in selecting the perfect wedding gift.....everything from beautiful tableware patterns to decorative accessories for your new home. Upon registration, you will receive an illustrated wedding planner, I Thee Wed, as your gift. The time to register is three to six months before the wedding by calling Marsha Ramos, Dillards Bridal Manager or Teresa Garcia, Assistant Bridal Manager to schedule an appointment.